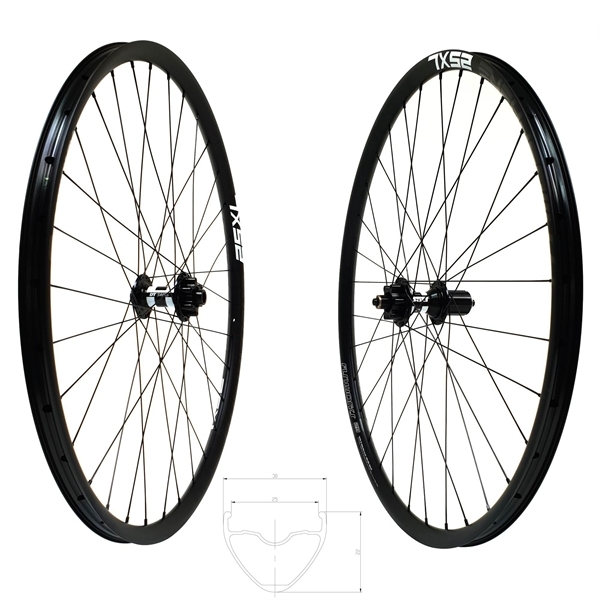 Product information "DT Swiss 350 Boost Disc IS Atmosphere 25 XL Comp Race Wheelset 29er 1730g"
DT Swiss quality at a more budget friendly price is what the DT Swiss 350 hubs are all about. These hubs still feature super tough seals for their high-quality bearings for smooth spinning and durability. The shell is constructed from heat treated and anodized aluminum. DT's Ratchet System engages quickly and supplies dependable performance.Boost compatible hubs have an enhanced flange distance. This has significant advantages: a flatter spoke angle and improved symmetry allow building a stiffer and stronger wheel, always an advantage, but especially for larger diameter wheels in challenging terrain. Related links to "DT Swiss 350 Boost Disc IS Atmosphere 25 XL Comp Race Wheelset 29er 1730g"
Customer evaluation for "DT Swiss 350 Boost Disc IS Atmosphere 25 XL Comp Race Wheelset 29er 1730g"